Scott Young, DDS Contents Karen G.
Karen came to us wanting cosmetic dentistry to help whiten and brighten her smile. She had the option to use bleaching but opted for cosmetic restorations. 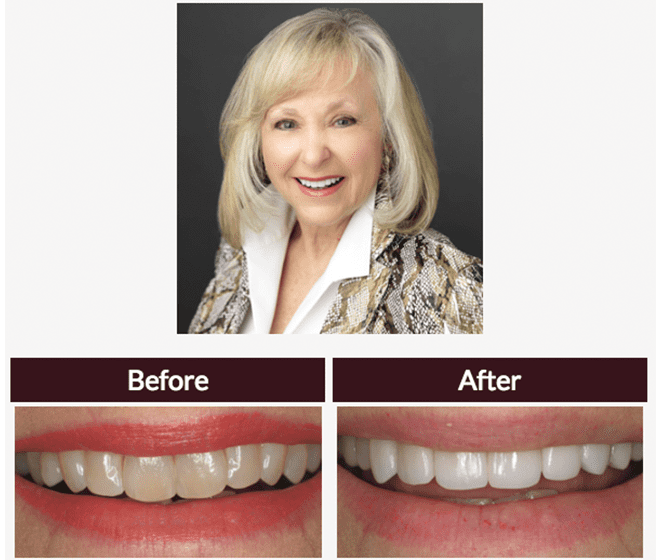 We gave Karen sedation dentistry to give her 10 upper porcelain restorations to achieve the white smile she always wanted.